Located on St. Clair Ave West in Forest Hill Lasa by Lamesa is a fast casual restaurant serving up classic Filipino food made fresh to order. 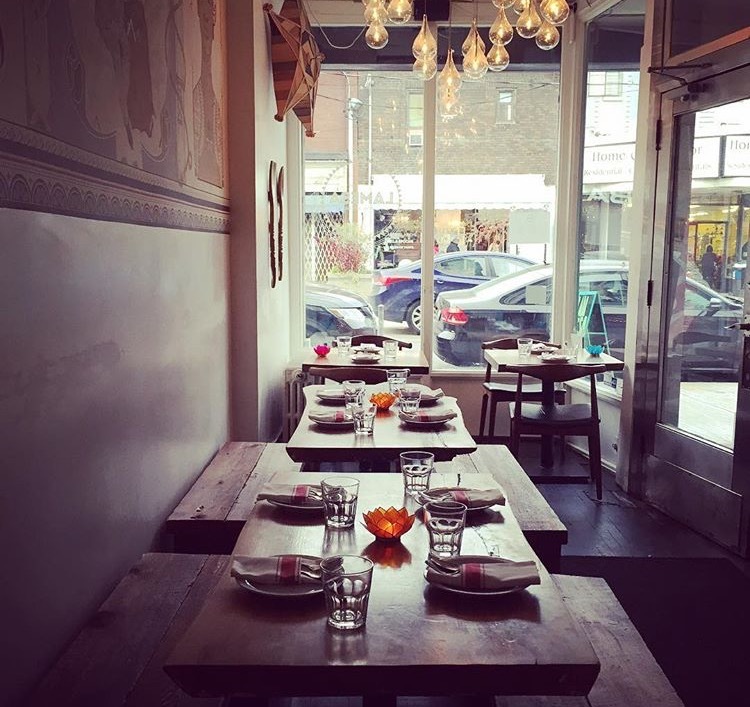 LASA by Lamesa opened in September 2016 and is the sister restaurant to Lamesa Filipino Kitchen. Our mission is to share Filipino food with the mainstream. Imagine a native Malay cook with a Chinese roommate being taught by a Spanish Chef with a love affair for everything American and you will begin to understand what Filipino food is all about. 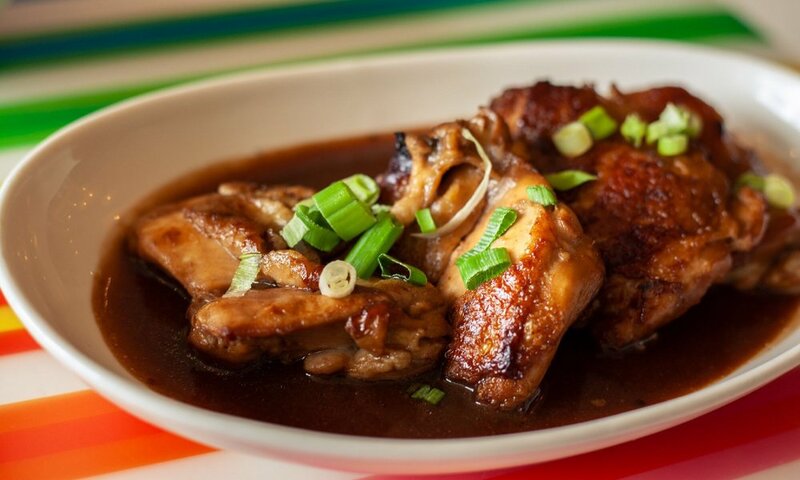 Filipino food offers a bold combination of sweet, sour, and salty flavours. There is often an aspect of counterpoint in each dish where contrasting flavours such as sweet and salty are paired together to create delicious combinations. Filipino cuisine has had many cultural influences throughout its development. Chinese traders, Spanish settlers, and American soldiers have all contributed to the cuisine. At LASA we serve up classic Filipino dishes just the way lola used to make. 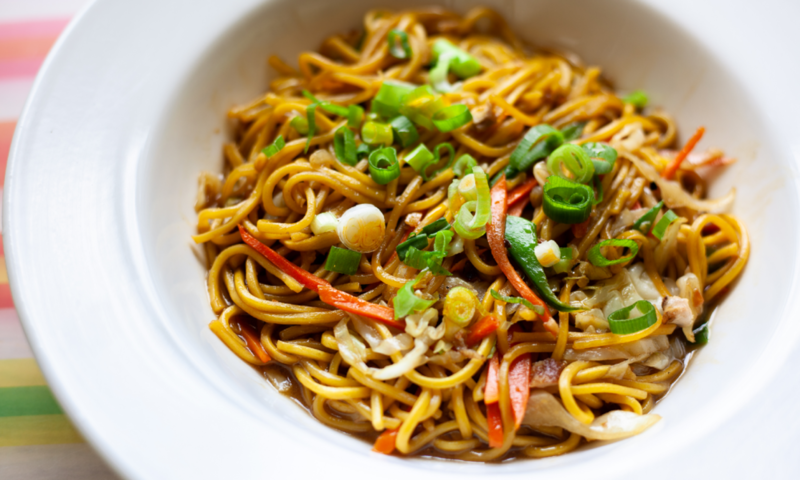 Our food is available for dine-in, takeout, and delivery. Ground pork, hoisin, soy, sesame. Classic Filipino meat filled spring roll. Portion: 6 pcs. Grilled Filipino style pork belly. Portion: 4-5 pcs. Battered chicken thighs in a sweet chili glaze served with housemade garlic mayo. Portion: 2 pcs. Marinated pork in a sweet BBQ glaze. We make our marinade with soy and 7up in true Filipino style. Portion: 2 pcs. Tofu, jicama, green beans, carrot fried spring rolls. Portion: 3 pcs. 5 spice fried tofu with sweet chili sauce and peanut. Portion: 5 pcs. Tofu, jicama, green beans, and carrot spring rolls. Portion: 3 pcs. Braised chicken thighs in a soy and vinegar reduction. Portion: 4 pcs. Grilled chicken thighs in a lemongrass, ginger, and annato glaze. Portion: 4 pcs. Each plate is served with garlic rice, greens, and 2 fried eggs. We now offer large party trays perfect for your next fam jam or get together. The trays are designed for 12-15 people. Many of these dishes require up to 48 hours of preparation time so please allow as much notice as possible. As always we will do whatever we can to get you what you need. All orders are for PICK UP only as we currently do not deliver. For orders of $100 or more we require a deposit of 25% payable by credit card over the phone or in store by cash, debit, or credit. Marinated pork in a sweet 7up and soy BBQ glaze. We will do our absolute best to get you what you are looking for. 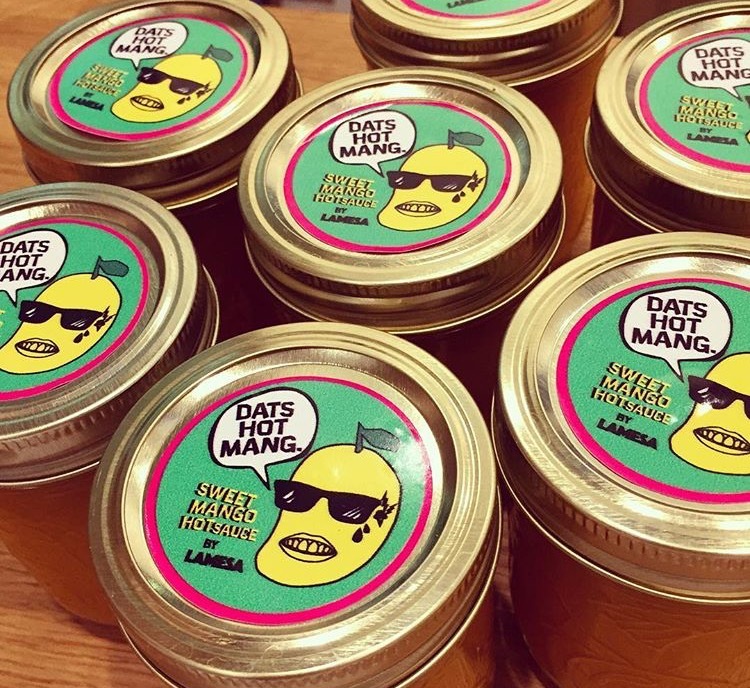 Our signature Mango hot sauce is made with sweet mangoes, scotch bonnet peppers, onions, garlic, vinegar, and salt. It has a delicious sweetness and some nice heat as well. If you've never tried it be sure to try some on your next visit. It has become a customer favourite and is now available for sale in $5 squeeze bottles.